Korzenie kick is dedicated to kick drumsounds. Kick features 3 layers, body, mid and FM/noise. 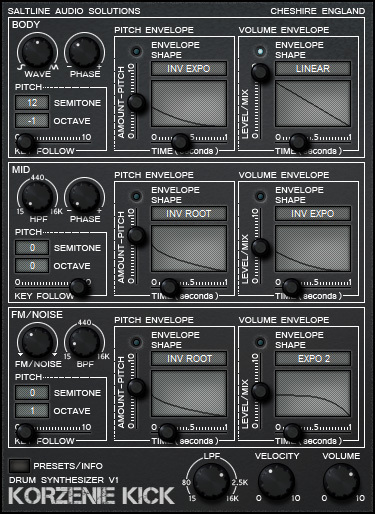 Each layer has it’s own pitch and volume envelopes with several curve options giving a great degree of flexibility and control over the sounds attack and decay.